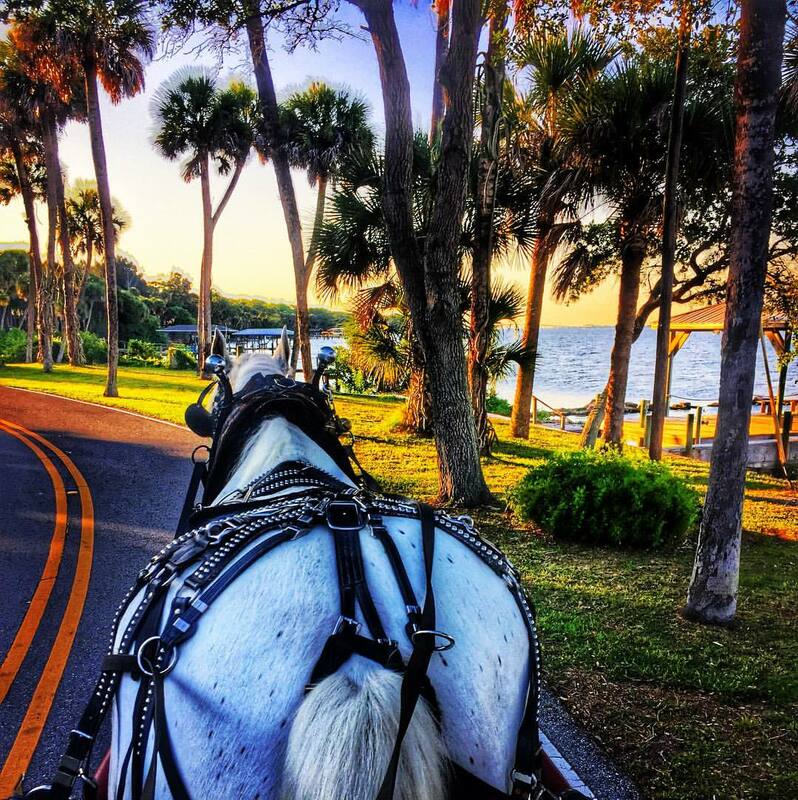 Come enjoy a beautiful and relaxing carriage ride thru the Historic Cocoa Village or a romantic ride along the scenic River Road. Our rides thru the Village are $45 and last around 15 minutes. Our rides on the River Road are $90 and last around 30 minutes. The carriage can seat up to four adults or two adults and three children. Pick up will be at Parrish Grove Inn.